Well, hasn’t this been a tipster’s nightmare. The opening fortnight of the 2019 AFL men’s competition has seen its share of shocks, and punters have been left frazzled by the fizzled Tigers and Demons in particular. Richmond overcame Carlton in less than dominant fashion, then crashed to earth hard against the Pies in a repeat, rather than revenge, of their preliminary final woes last season. Melbourne underwhelmed in a loss to the Power at home before being thoroughly embarrassed on their travels to Geelong. Conversely, St Kilda have worked their way to a shocking and unexpected 2-0 start, while the Brisbane Lions set up a Gabba clash with fellow undefeated side Port Adelaide after their comeback win over North Melbourne. No comeback was more spectacular, however, than the Bulldogs’ heroic last-quarter effort in seeing off the Hawks despite trailing by 30 points at the final change, though the retirement of 2016 premiership star Liam Picken holds a great sentimental loss to the side. Hatch‘s Jesse Robertson previews the rest of round three, which kicked off on Thursday night with the Cats beating Adelaide by four goals at Adelaide Oval. The Demons unveiled a new initiative ahead of their entrance to this week’s fixture, with the cheersquad crafting a banner featuring many of the negative tweets directed at the club and its players over their careers. Unfortunately, that backlash will have intensified in the last seven days following a measly outing against the Cats that saw a side initially gauged with top four credentials langushing in the bottom two, along with their opponents this week. While Clayton Oliver (43 disposals, 15 clearances) and Max Gawn (53 hitouts) racked up tall statistics, they counted for naught in the end as the Dees were fully overrun and outclassed on the night. To make matters tougher, Steven May is set to miss two weeks minimum with a groin injury. Essendon were humbled and branded ‘sluggish’ following a collapse in Round 1, and came in strong favourites to topple St Kilda last week. Not only was John Worsfold’s side bowled over in his 350th game despite a late surge, they endured perhaps harsher treatment for a bizarre incident on the wing involving Matt Guelfi and Kyle Langford. Zach Merrett battled hard at both ends of the ground with a team-high 28 disposals along with seven inside-50’s and five rebound-50’s and Michael Hurley was busy in the backline with 14 marks and nine rebound-50’s, but their transition (and attention) are in need of severe polish ahead of Friday night. Hatch predicts: Melbourne by 11 points. Both coaches approach the weekend under question and it may be Simon Goodwin who needs it more; the Demons have enough raw quality to be judged favourites on this occasion. Carlton fans may take some future positives out of the result in the wet at Adelaide Oval last week, though they’ve had little else to rely on for many a moon since Brendon Bolton took over, and for the first time in his tenure, there seems to be some heat bubbling on his position. Perhaps more than anything, there’ll be relief in Charlie Curnow’s knee concern only costing him two to three weeks. Jacob Weitering produced perhaps his best game for the club in nullifying Charlie Westhoff while Patrick Cripps was his usual imposing self, conjuring up 32 disposals and 15 clearances. Sydney fans may not have expected a winless first two weeks or especially the tame opening half in Round 1 against the Bulldogs, but it was hardly for lack of trying last week at home to Adelaide. The sensational decisions to award three 50m penalties against the Swans in the space of barely 10 minutes certainly didn’t help but neither did their own accuracy around the goals. Josh Kennedy stood up in a major way with a game-high 36 disposals, also recording a mammoth 11 inside-50’s to go with 10 clearances, but a paltry 8.14 was their undoing. Hatch predicts: Sydney by 27 points. The Blues will miss the tall target of Charlie Curnow but the Swans should not be expected to completely walk over Bolton’s men. The Giants have already experienced both a great high and a flattening low in season 2019, the latter of which came last Saturday night in the form of a 52-point hiding at the hands and home of the reigning premiers. Luckily, they come across a stumbling Tigers outfit at home Saturday afternoon, and if Lachie Whitfield (33 disposals, 13 marks) can continue to stand out as he did in a heavy loss last week, they stand every chance of cementing a top-half placing. Richmond are staggering after once again falling away in a clutch scenario against Collingwood at the MCG. As Mason Cox once again came to haunt Damien Hardwick’s side, the Tigers fell over conceding 10 goals to four after the main break to go down by 44 points. Skipper Trent Cotchin attempted to keep the ball moving forward with eight inside-50’s (trailing only Brody Mihocek on the ground) and seven clearances, but the Tigers’ fringe group will need to lift now that both Alex Rance and Jack Riewoldt will be missing for the first time since Round 9, 2009. Hatch predicts: GWS by 19 points. The Tigers will be frail in their key stocks at both ends, and the Giants have the power to take advantage of the injury situation at Punt Road. Seven final-quarter goals ensured that an entertaining, and more importantly unbeaten, start to the season continued for the Lions as they dispatched North Melbourne at Marvel Stadium. Now they return home, awaiting another unbeaten side in the Power and after last week’s display, former Docker Lachie Neale will be oozing with confidence after bringing the side home with 25 handballs (a higher tally than the possession count of all but one of his teammates) and eight clearances, while Charlie Cameron was explosive up forward with four goals. Hatch predicts: Port Adelaide by 10 points. Lycett may become a permanent key forward while Watts recovers from his broken leg, and the star quality of Rockliff, Boak and more in the centre should see off Neale and co.
After becoming the first pair of grand finalists to both lose their season openers the next year since 2002, both of these two teams responded with emphatic statements last week. Collingwood were first, running over the top of Richmond much as they did on their way to September heartbreak against the Eagles, and almost registering a new record for total marks along the way. Seven Magpies earned double-figures in this category, as the side led by the fierce Scott Pendlebury (31 disposals, eight inside-50’s, one of five Pies with 30+ possessions) controlled the ball with ease and poise, and will need to do so again to avoid repeating history against the visitors. West Coast’s premiership assertion came at GWS’ expense at Optus Stadium and while Elliot Yeo, normally a star performer, was liable for many a blunder in giving away seven free kicks and producing even more clangers with the ball, it was 2018 Norm Smith Medallist Luke Shuey who stuck out in a positive light with seven inside-50’s and two goals complementing his 28 disposals. Hatch predicts: West Coast by 8 points. This has all the makings of another thrilling contest which could go either way at the flip of a coin but the Eagles held their nerve when it counted most, and are capable of doing so again. The Bulldogs officially lost Liam Picken to retirement after ongoing concussion concerns, sparking a wave of emotion among fans that washed in stark contrast to the club’s sheer joy and elation less than 24 hours prior, when they produced the feel-good story of the round in storming home to an unlikely four points after trailing by five goals at the final change. Though once again outgunned in the ruck as Tim English continues to find his feet as the first choice tall, Tom Liberatore was immense in his side’s recovery with 28 disposals, six clearances, seven tackles and a goal. Gold Coast produced yet another upset in a fortnight plagued with unpredictable results, earning their first premiership points of the season much earlier than most pundits would have forecast. Alex Sexton might have been the game’s premier underrated competitors but after kicking four goals (which could have been plenty more) and going atop the Coleman Medal table, the rest of the country appears to be taking notice. It was important for someone to be kicking straight as the Suns served up a wayward 7.19 in a three-point win, and with Jarrod Harbrow getting the job done further up the field with 32 touches and 7 inside-50’s, there was plenty to take out of a fortunate result. Hatch predicts: Western Bulldogs by 34 points. If the sons of the west can avoid the sluggish mentality displayed in the third term against the Hawks, there’s potential to open up a sizeable margin. Could Jaeger O’Meara finally be free of the persistent knee concerns that have plagued his career so far? Anything is possible after a strong display involving 80% of his disposals going by foot on an afternoon to forget for the Hawks. James Sicily was a fighter in defence as usual with his 11 rebound-50’s at least doubling every player on the ground except O’Meara, but a dubious free-kick was his downfall allowing the Dogs to finally hit the lead. 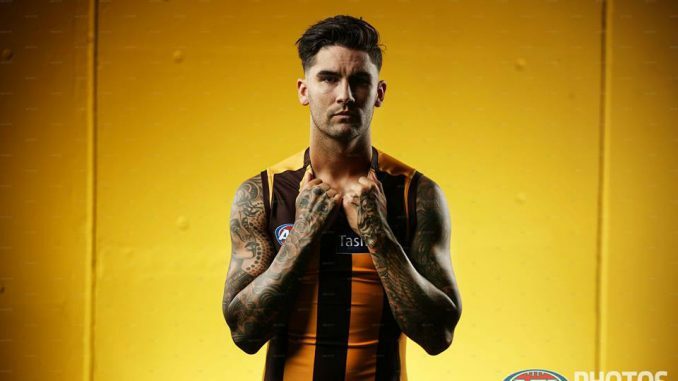 Chad Wingard’s inclusion for his first Hawthorn game should provide a spark for fans to anticipate. Like the Hawks, Brad Scott’s side also snatched defeat from the jaws of victory and will be just as keen to kick-start their campaign following an embarrassing pair of losses. Midfield-forward hybrid Shaun Higgins was almost exclusively playing the former of the two roles and made his 38 touches count, and Ben Cunnington was in and under all afternoon long with two less possessions but a massive 27 handballs resulting in 10 clearances. Paul Ahern has been unlucky to miss out following strong VFL performances and is included in the extended squad. Hatch predicts: North Melbourne by 16 points. The Roos displayed more run through the middle in their last outing and will want to take advantage of Hawthorn potentially running out of legs. Fremantle could very, very easily have lost by plenty more last week had the Suns converted more of their many chances, and Dockers defenders found themselves far more pressured than had likely been anticipated going in. Nat Fyfe (31 disposals, 10 marks) was prolific but they were let down up forward. Jesse Hogan’s first game since departing the Demons was uneventful with the spearhead going scoreless. Jade Gresham and Jack Billings were catalysts for St Kilda’s survival against a Bombers side that struggled to get started, and their impact was boosted by the efforts of Rowan Marshall out of the ruck, whose eight tackles and team-high seven clearances got the midfield going in a game of diminished finesse. The omission of Jack Steven is a decision that could have negative ramifications, however. Hatch predicts: Fremantle by 25 points. Returning to their home turf, the Dockers should be too good for the at-times sloppy Saints at Optus.